We have just begun a new year, and everyone has a list of resolutions which may remain words on paper if you do nothing to make sure that you realize them. As a loan officer marketing mortgage to prospective customers may have been tricky in the past years. For all your efforts, it can be frustrating that you have barely been meeting your target. However, do not give up; not just yet until you have tried these marketing ideas to bring fruition to your hard work. In this article we will be taking a 360 look at mortgage marketing starting with ways to grow your business and ending with ways that you can utilize to become a better loan officer. How Can I Grow My Mortgage Business? How do I Become a Successful Mortgage Broker? How do I market myself as a loan officer? How do I Promote My Mortgage Business? How to use open houses to meet agents? Ways To Become a Better Loan Officer? If you run a mortgage business, your priority will always be searching for excellent ways to achieve a successful lending organization. You will also create new networking opportunities and increase business efficiency. With the right strategies and a positive mind, you and your employees can make significant moves to grow your mortgage business. The following article will discuss several methods that will help you grow your mortgage business. Make Use of Technology: There is rapid advancement of technology in today’s world. You, therefore, have to keep looking out for new technological ways that will be of value to your business. You can utilize several mortgage software that will help approve and avail loans easily to customers. Such software will go a long way to enhance organization and productivity. Additionally, you can also utilize cloud services to store or backup relevant company information. With cloud services, you can access loan information from any place as long as you have an internet connection. Boost Security and Compliance: Poor security and compliance policies put mortgage customers at high risks. This in turn greatly affects the reputation of the mortgage company involved. Moreover, you need to ensure that sensitive customer information is well secured. The mortgage industry is prone to attack by hackers where they steal client information. Such a security breach will certainly make customers lose faith in your company for years. Work on efficiency: For any business to be successful, efficiency has to be a key element. You may need to improve or completely change the ways things are carried out in your company. Set up a team that will come up with new strategies to streamline all the shortcoming in all processes involved in the organization. It is also essential to incorporate technology when reevaluating the business methods. You should also gather weekly or monthly reports that will help you increase efficiency in the business. Marketing: Marketing is an excellent way to tell potential customers about your lending business. Direct marketing is considered a better approach to reach your target audience. There are diverse ways you can promote your company, for example, using social media site and more formal platforms such as emails. Interacting with a customer, investors and prospective clients is one way to gather useful information from them. Such information can help you develop better loan options for different parties. Prepare Online Resources: Familiarize yourself with all trending topics related to mortgage lending all over the world. Compile all this information into white papers, e-books, blogs or videos. This is a great way to supply customers with necessary mortgage information. The documentation of such information shows the level of professionalism offered in your organization. This makes it easier for existing and potential customers to trust your mortgage services. Invest in social media marketing: Thanks to the internet, more people are spending most of their time on social media sites. You can take advantage of this occurrence and create platforms that will help you connect with clients on these sites. Facebook is one of the sites that has millions of users. As a result, ensure that you create a business page for your mortgage organization. Twitter, Instagram, and YouTube are also some of the viable social media sites that you can make use of. Be consistent on producing contents for your followers such as fun and relatable videos and any updates in your business. You can also carry out various competitions online where you reward the winners.Additionally, remember to respond to all messages and queries directed to your business. Gather testimonials: Make a point of talking to your previous clients and find out how much they liked your mortgage services. You may request them to write a short testimonial that you can later upload on your company’s website. Some clients may also be willing to be recorded which will help you create video testimonials. Such can be uploaded on your YouTube page as well as the business website. This content can be used to market the business further and create awareness on various mortgage issues. Participate in community work: Majority of individuals are attracted to businesses that are involved or sponsor community activities. As a result, make a point of signing up for local community projects. This will create visibility for your mortgage business hence attracting prospective clients. Additionally, participating in such activities will create a more approachable effect on your business and a positive brand. Create a personal approach with potential home buyers: Purchasing a home is one of the few essential life decisions adult individuals have to make. Many people interested in acquiring a house could be under a great deal of pressure when deciding which financial option to use. It is therefore critical that you listen to your customer’s needs and treat him or her with respect. Some of the simply tactics that will help you remember what a customer requires jotting down some notes and asking questions. You can then proceed to send customized emails, relevant updates and answering their questions. Your goal is to ensure that this customer signs up for a mortgage plan with your company in the end. Create relevant networks: Create time to meet up with other mortgage agents once in a while for a breakfast, lunch or evening coffee. Such a networking opportunity will help you learn about the recent updates in the mortgage industry. You will also gather new information regarding modern and more effective mortgage tools that you can add to your company.One of your main aspirations should always be seeking new ways to improve your lending business. New mortgage tools will increase the speed at which you verify customers who require loans. In addition to that, these tools can guarantee security to clients. Upgrading infrastructure at your offices will also ensure that your employees are well taken care of. They will work faster and more efficiently with automated mortgage software. Finding an exceptional mortgage broker is one of the fundamental steps many buyers take while looking for a suitable home. However, it can be difficult for buyers to determine if things will go well with the prospective broker. Once things have gotten to a certain point, it can be hard for a buyer to back out to the deal. This is the primary reason why you should make an earnest effort to establish credibility and trust with the buyer. This will help your client feel comfortable with your ability to help them get a home loan. We will now take a close look at seven characteristics of a successful mortgage broker. If you apply these tips to your loan officer marketing business, your clients will see you as a safe bet. When it comes to mortgage marketing, it’s imperative for you to remember that ever buyer is different. Your clients will have different salaries, different requirements for housing, and different debts. At the end of the day, everyone’s situation is different. You client may be eligible for a government assistance program or a VA loan. It’s your responsibility to find out what they qualify for. Running the numbers will help you find several practical loan options for your client. With your guidance at hand, they will be able to choose a financing option that’s ideal for their comfort level and finances. You may be tempted to rush the loan process, but this can backfire on you. It’s not unusual for potential clients to consult with several lenders before making a final decision. You cannot blame them because they want to make sure they select the best offer. As a player in loan officer marketing, you shouldn’t take this personal. It’s vital for you to be patient with your clients. Encourage them to ask questions, and let them know that you are there for them. This type of approach will help you get a good reputation in the industry, and you will be able to sleep well at night. It doesn’t take a rocket scientist to see that looking for a home loan can be extremely stressful for anyone. For instance, buyers will not hesitate to become skeptical of a lender that fails to return phone calls and emails. This is especially true when the lender has made an offer to the prospective buyer. Make sure you stay in touch with your clients. Answer their phone calls and emails in a timely manner. Please keep in mind that they are making one of the biggest financial commitments of their life. Maintaining an open line of communication will help them relax, and you will be able to close more deals. Applying for a home loan can be a scary experience for many people. You can ease your client’s fear by explaining the details of the loan product. They deserve to know all the critical details of the home loan offers and your service. There’s an old saying, “One bad apple can spoil a bunch.” Unfortunately, this old adage has some influence on mortgage marketing. Some mortgage brokers take advantage of their customers. They do not disclose the full terms of the loan and the fees associated with their service. This type of practice has left this industry with a black eye. Being transparent with your clients will pay big dividends for you. You will be able to have a solid relationship with your clients if you are upfront with them. When it comes to loan officer marketing, you must practice good ethics. You should always aim at representing your client’s best interest. It would be huge mistake for you to pressure them into a situation that will make them feel uncomfortable with the potential outcome. There’s a strong chance of you experiencing severe repercussions if you let them down. For example, you should not urge your client to accept an adjustable rate mortgage, if they fair better with a fixed-rate mortgage. Closing deals is the name of the game for loan officer marketing, but you should only present loan products that are ideal for your client’s pocketbook. Reputation goes a long way in this business. If you treat your clients poorly, they will be more than happy to tell the world. This will hurt your business in the long run. Don’t be surprised if you have clients that are hesitant to hand over their personal financial information. High cases of fraud are making people a little leery about sharing this type of information with strangers. You can ease their discomfort by sharing your credentials with them. People will be more inclined to do business with you once they see that you are legitimate. Do you have testimonies from previous clients? If so, share them with your new clients. It will also be a good idea for you to have your degrees and certifications on display in your office. Going the extra mile to ease the mind of your clients will make the loan process easier. Borrowing a significant amount of money will prompt anyone to ask dozens of questions. You should be ready to answer tons of questions. Exercising patience will help you deal with this phase of the loan process. Some mortgage brokers have discovered that giving their clients a document covering the entire loan process helps things go smoothly. It’s commonly called a “What to Expect” document. It helps to answer the most frequently asked questions. Please keep in mind that this document should breakdown the timelines for each step. The mortgage marketing business is extremely competitive. This is why you should work extremely hard at getting a sharp edge over your competitors. Taking heed to the seven tips above can help you become a successful mortgage broker. As a loan officer, you need to determine the different ways you can market your services. There are loan officers who earn a lot of money because they have mastered the required skills. However, if you don’t know how you can market yourself as a loan officer, this article will help you do it with ease. Nowadays, loan officers have websites and social media platforms to advertise their services and connect with their clients. Depending on the type of services you are offering, you can either get positive or negative reviews from your customers. As a result, this can affect your business greatly making it better or hard for you to thrive. Positive reviews and rating show that you are reliable and professional and it is easy for you to get recommendations. On the other hand, if you have negative reviews accompanied by very low ratings, there is a high chance that you won’t get numerous clients. Hence, for you to manage your online reviews effectively, you need to monitor the sites that address reviews e.g. Facebook, Yelp and Google. With good monitoring skills, you will understand your strengths and weaknesses so that you can know what to change and maintain. In case you have a negative review, you should not be rude or panic because it won’t help. Instead, respond by asking to follow up questions, asking what you can do better and interacting with your clients. The main objective here is to have a good reputation while still marketing your services. If you do not have a social media platform, you should consider having one because it can help you connect with many clients. On the other hand, you might be having social media platforms but you end up using them wrongly e.g. posting basic mortgage content that’s boring. This will not help because no one is looking to read boring posts whereas there are other educative and interesting platforms. When using social media to market your services, try to be original, creative and exciting to attract and maintain followers. Engaging with your followers by answering questions and getting opinions from them is advisable. This will not only set you apart from your competitors but also reaffirm to your clients that you value working with them. This is very important whether you are dealing with online or offline channels. Ensure that the information you’ve given is accurate from your website to your social media accounts and reviews sites. This means that your contact information should be accurate to make it easy for clients to find and communicate with you. If you have a description, a list of services you are offering, location, addresses and so on, you should be consistent to avoid confusing your clients. In addition, your presence both online and offline is very important to keep your clients updated at all times. Therefore, you should post regularly, contact your clients regularly and if you have to engage with the clients you need to do it. Consistency should be there whether you are angry or happy or even when a client is rude or not calm. Respond to every text, tweet, phone call, e-mail and even Facebook posts using the same tone and professionalism regardless. As a loan officer, your services might not be required every now and then. This does not mean that you seize being a loan officer or you stop caring or engaging with your clients. Instead, you should try to share content that’s not only valuable but also exciting to connect with clients. When you do this, you will impress a lot of people who will come looking for you when they need your services. During the weeks or months when your services are not required as much, you can research and study about mortgages, real estate, and contracts etc. to help you handle your clients with high levels of expertise when the time comes. Since you will be making friends regularly and meet new people, your database might have stale contacts that you do not need or contacts that you rarely use. It is very important to clean your database especially if you have been getting bounces, spam reports and numerous unsubscribes. By cleaning your database, you will improve your mail deliverability and your ability to expand your business. This should be done regularly depending on your connections, personality and the number of friends you are making in a given period of time. Even though there are other devices you can rely on while working or marketing your services, a mobile phone is a basic device. It is not only easy to use, economical but also portable. This makes it easy for you to use a mobile phone everywhere at any given time to access the internet and reach out to your clients. There are some phones that you can use to send an e-mail, interact with clients online and market your services whether you are traveling, exercising, hiking, eating etc. All you have to do is invest in a good mobile phone that will suit your needs while still economizing on budget. If you are growing your business, you will definitely have a long list of clients who are looking to interact and hear from you. This means that you will be having daily, weekly, monthly and annual tasks that you should fulfill. If you have numerous tasks and clients, it can be challenging and even impossible to market your services effectively. However, when you automate, you can accomplish all the tasks with a short period of time. There are a lot of tools that can be used in automation. All you have to do is research thoroughly before making the final decision or investing your money on a certain tool. Finally, depending on the tool you’ve chosen, you can reply to texts and upload statuses and photos periodically. Ever had to overexert yourself trying to sell a product or service but nothing you do seems to work? You are not the only one because it happens to many people, regardless of the business they are operating. However, as a loan officer marketing mortgage, the pressure may get to you as your attempts to acquire and process loans go in vain. Until you try your hand in digital marketing, you have not exhausted all the options available, so there is still some light at the end of your tunnel. While leads you have obtained may look promising, wait until you make those phone calls and you will find out you may have just wasted your hard-earned money on another fruitless method. So, here are ways in which you can revolutionize your business by turning cold leads into real deals. No matter the kind of business, the first thing the owner should know is the audience whom the campaign targets. This philosophy still holds for your mortgage marketing business, because making a campaign that does not heed to the needs of anyone specifically, means you are casting your fishing rod in the entire ocean, and most likely no fish may see your bait. Therefore choose between refinance customers or new home buyers. While it easy to think that one group needs loans as badly as the other, it is not the case. Refinance customers have had the experience of a loan hence they will be very sensitive to the rate you are offering and if they find yours is above the market rate, they are not afraid to shop around to get quotes. New home-buyers, on the other hand, will pay more to get the advice they are looking for since they need someone to point them in the right direction. Besides, new home-buyers are mainly referrals; therefore, they already have some trust in your company. Therefore, if you decide to appeal to both audiences, you will have to create two separate campaigns with well-crafted messages that touch the needs of each one. If you want more customers to come to you, start working on the content you use to sell your product. You may think that what worked for another business will work for you, so you go and paste it to your website. Even if you have not plagiarized but instead bought it, it will not cut it. No one wants to read through something they have seen elsewhere; it not only makes you look lazy, but it also makes prospective customers think of you as a fraud. Let us face it; no one trusts a fraud so you will have done your business a great disservice. Therefore go all out in your creativity and create something unique to your business to help brand yourself. Do not just do one creative content and go back to rewritten content; remain original and let others visit your site to get information on mortgage-related and home-buying. Best of all, when you consistently post content that is relevant to your industry, your search engine rankings will improve. You can also create a LinkedIn profile and publish your original posts there. That way, you not only become more visible to your industry but also to your connections because they get a notification every time you publish a new article. Who is not on Facebook? Well, if there is, then they are not among the 1.44 billion active users that Facebook reported in spring 2015. If those many people are on the platform, you can be sure that even the prospective home buyer is there too as well as anyone who might need some refinancing. Therefore, instead of just sharing memes on your timeline, why not incorporate some Ads in your newsfeed and watch the magic happen. You can even start writing pieces and posting them on your timeline. For instance, with a blog post that reads "6 Tips to Help you Save Money on Your Move" will capture the interest of home-buyers instead of making cold calls. Besides, the fact that you are offering them information to help save money is one way to ensure your name remains glued in their minds. They might even recommend their friends to check out the post by tagging them or share it on their timeline. While you may think you need only fixed assets to make it in business, it is because you have not realized the full potential of your email address list. You may have saved those addresses for sending out emails if need arises, which can take months, but that is where you have been going wrong. Your potential customers lie in that list so do not wait for months before contacting them; send them weekly, or fortnightly emails and your mortgage business will pick off soon. However, not just any email will do; it has to be relevant and informative otherwise they will spam you. With valuable content, prospective clients are always eager to get your emails and will read because they have tasted the value of your information. It may come as a shock to you but to tell you the truth, 93% of the decisions businesses make come from the advice of Google. So, before you dismiss the power of Pay-Per-Click advertising, if you are not in the top results, you are selling to 7% of your target market. You can ensure you are ranked among the top by bidding on the right keywords especially those containing the county you are operating in and "Loan Officers." Of course the higher the competition, the more you will have to pay so calculate the money you are willing to spend on the advertising and fit it in your budget. You should note that while you may want to focus on positive keywords only, including negative keywords when setting up your account can help you save a significant amount of money. The critical thing to note here is that all you need is the right keyword specific to your target ad groups to have an immediate impact on your business. If you are a loan officer and you are either new in the industry or you don’t know how you can meet agents fast, there are a few points that can help you get started. When looking to meet new agents, the level of experience, skills and your personality are some of the factors that will determine your success. However, gathering the necessary information is also very important because it helps you meet the right people and make the right decisions. Captive audience: Even though most loan officers prefer meeting the agents at their offices, creating time and visiting open houses is a great idea. You will be able to talk to the agent, ask questions and see the house firsthand to make the right decision. In fact, you will be able to determine the total cost of the house, know about the neighbors and the neighborhood before you even start considering whether or not to buy the house. If the number of people who have been asking about the house is low, the agents will be glad you’ve visited the house and they may even offer you a better deal to close a deal. However, loan officers tend to lack time to visit these open houses or at least check out the open houses from a paper or a magazine. It is advisable for loan officers to buy magazines or a newspaper so that they can know the houses that are open in their locality. By doing this, you will not only save a lot of time but also have numerous options when visiting the open houses. Finally, the locality and the number of houses you are planning to visit will determine the amount of time you need and the means of transport. a. Schedule appointments – when visiting an open house, you should focus on scheduling an appointment with the agent(s) instead of encouraging or trying to justify why they should do business with you. Therefore, as a rule of thumb, you need to spend about 20 minutes only conversing with the agent. If you are taking more than 20 minutes in a single house, you are giving a lot of information and that might not be good for you. In addition, you will waste a lot of time in a single house instead of trying to visit as many houses as possible. b. Build your prospect list – if you are visiting a dozen open houses, you should get at least 4 appointments. With the appointments, you have a chance of doing business with the agent in future. The other things you need to focus on is building a prospect list if you don’t get an appointment in an open house. How do you do that? For the open houses which you will not get an appointment, you can seek permission to market your services in the future. Most agents are looking to make more money and if you have some ideas that you can offer to help them, you can start working with them in the future. Get the contact details of the agents that have given you the permission to send them information. If you get a long list of prospects, you can consider implementing a regular e-mail or a direct mail campaign that will help you build familiarity. Remember, you should be professional to avoid irritating the agents. c. Show your professional commitment – it is important to set aside some time and visit open houses to show your professional commitment. This not only shows your willingness to work with the agents but also your professionalism and job etiquette. Remember, you don’t have to convince the agents you meet that you are committed and willing to work with them. Instead, your actions and willingness to work with the agents should be evident. d. Making friends – visiting open houses will increase your chances of meeting new people and making friends. It is very easy to make friends in an open house because it is less intimidating and the people you meet have the same agenda as you. The friends you will make will offer professional help and offer connections in the future. To get help from the friends you make, communicate regularly and remain professional all along. It is evident that visiting open houses is a great way of meeting agents and marketing your services as a loan officer. Therefore, if you are new in the real estate industry or you want to market the services you are offering, this is a great strategy. However, you need to do it in an orderly manner because there are numerous houses that might be open in your area and you cannot visit all of them. Secondly, you can seek professional advice from other loan officers to enable you to plan and make the right decisions. For instance, if you have friends in the industry or some of your family members are in real estate industry and they are successful, you can get opinions and advice from them to help you in the future. Finally, if you follow these tips, you can increase the chance of meeting new agents and probably marketing your services. You will have to research and follow required protocols because buying and selling houses is a profession just like any other. Remember that time you had to write an essay, and the professor kept telling to get creative? While with compositions you have to fill up the pages, it does not have to be the same with mortgage marketing. Looking at lots of pages can be boring for most people, therefore, engage them with something that will make them want to know more about what you are selling. They say pictures are worth more than a thousand words so why not utilize them thoroughly in your content. You can also use live videos; you can attest to the fact that even you when on Facebook you would rather watch a video than skim through a long post. However, you will have to be proactive by asking those in your network what questions bother them so that you can make a video of questions and answers which they can watch in real time. Do not forget to mention to them where and when they can watch it otherwise you will have gone through all the trouble for nothing. Would you trust a stranger or your friend when deciding what sunglasses look better on you? Exactly; most Americans, 82% to be precise would rather have a family member, or friend recommend to them a product or service. So, unless you have many friends, the recommendations you get will not help you make it in 2019. That does not mean you have to travel miles across states to meet with your high school friends. In this age of technology, connecting with people has never been easier. Still, getting to connect with someone and build lasting relationships requires live meetings. So, instead of walking up to random people during trade shows and try to market your product, why not start by showing them you care about other people through volunteering. The next time you talk to potential clients about your product, you can be sure they will not only buy it but also recommend it to someone else. They say the internet never forgets, therefore, be careful with what you post on social media. Besides Facebook and Twitter, ensure that your website is well-updated. Imagine selling yourself so well, but then when the prospective customer wants to contact you, they cannot see your phone number or email address. Also, make your profiles more customer-friendly and enhance the customer experience. For example, if you say you are on various platforms, make sure that indeed those channels are working correctly. Besides, make navigation easy for the customer; if they feel lost you can be sure they will never revisit your site. Most of all, make sure that you have done proper branding so that they can easily recognize your business and not confuse it with a competitor's. While you may have thorough cleaning to do, you do not have to do it overnight. If it demands a considerable amount of time, you can take a week to clean each site. With everything that you have to handle, it would be great if you had some help. Well, that is what automation does for you; it helps you acquire new clients while allowing you to not have so much on your plate. Loan officer marketing can make use of marketing automation software such that whenever a client sends you an email, you do not have to type your responses. With an automated email, the customer can get immediate feedback to know their information has been received and will be acted upon as soon as possible. You can also have marketing automation for social media such that you can launch social ads or post on your Facebook page without having to be on the phone. Time is money, and you do not have to spend minutes on the social platforms to keep track of your clients; with automation, you not only save time but money also. There are so many social media channels for you to make use of to your advantage. Do not just post a picture and leave it there for people to see; make it shareable so that as many people can share it with their friends and help you run a viral social media ad campaign. The advantage of social media posts is that they go beyond your current network meaning the brand exposure you get is going to be phenomenal, much to the benefit of your marketing efforts. If you think of email as merely a tool of communicating, you are very mistaken and have been undermining one of the most resourceful strategies in your possession. For every $1 spent, businesses that used this strategy received $38 in return in the year 2015; a figure that has remained consistent over the years. Matter of fact is some firms almost doubled that ROI, reporting $70 for every $1 invested. Email makes it possible to reach your current clientele base but enables you to have opportunities for sharing, forwarding, and referrals. Still, do not be selfish in your motives by focusing only on your need to promote your services. Instead, get content that is tailor-made for your audience's needs, and you will win them over quickly. For example, offer them guides and tips they may find useful, and they will keep coming back for more. Being a mortgage loan officer does not have to be an unproductive venture that makes you wonder why you choose that career path. Take matters in your hands and determine your fate; use these ideas to be the most prosperous mortgage marketing loan officer. Determining the best mortgage loan program for a customer and closing the loan are the two important objectives of a loan officer. Therefore, a loan officer has to be competent because there are a lot of things he/she has to consider before making the final decision. Credit score, the type of property to be sold and the loan amount are just a few details a loan officer should consider and know to offer great services to his/her customers. Real estate attorneys & relocation specialists. CPA firms and accountants always have clients who are either buying or selling homes. If neither of them is buying or selling a house, they can give you referrals thus promoting your business. Appraisers – they not only offer valuable information like the real estate agents that are selling most homes but also where you can buy or sell a house fast. Therefore, working with appraisers can improve your business as a loan officer. Working with a listing agent or a real estate appraiser can help both of you to cross-check the services you are offering to offer better services or improve your services. Investing on a website that provides your basic information is a good idea. Some of the things you need to include are your contact details, testimonials from past clients and the resources you have that your customers can find helpful. The website will help you advertise the series you are offering while still creating a network with other professionals. In addition, if you would like to invest in a radio or television ad to promote your services, it can be a good idea. Social media platforms have been used to promote businesses for a long period now because they have huge traffic, are easy to use and have millions of users. Hence, you can create social media platforms such as Facebook, Twitter, Instagram and LinkedIn to promote your services. If you use these platforms well, you can also provide testimonials for your clients to know more about you. Finally, you can sell yourself by getting involved in your community. Here, you will have to interact in public events because you increase the chances of meeting new people who are looking to sell or buy houses. It is important for you to be helpful rather than expecting to make money from the home buyer or seller. For first-time buyers, you can help the ease stress by explaining what they are supposed to do and how to go about everything to avoid making a mistake. When interacting with people in your locality, remember to carry a business card, a flyer or a postcard. When building a business, getting recommendations is one of the strategies you can use. A referral not only proves that the loan officer is reliable but also professional and an expert in his or her field. When you get a referral from friends, it becomes easy for you to expand your business from a local setting to other areas where people are relocating. Do you understand the loan process? Have you seen the loan rates you like? Are you planning to roll other debt into the mortgage so that you lower the payments and save money on the interests? When you ask the right questions, you not only relate to your customers but also offer better services. This is very important because you will offer the services your client is looking for at any given time. This means that you will get referral and recommendations to other homebuyers or sellers thus promoting your business. Finally, you will have to work on how you can get the job done in the shortest time possible while meeting all the requirements. Being able to discuss how you can meet the needs of your customers is just as important as meeting the actual needs. Therefore, you should be hungry for results and use every avenue you can to make it happen. Remember, after you’ve networked and marketed your services, you should follow up with your customers to know if they were satisfied and how you can improve in the future. Most homebuyers or sellers will offer you their opinion and honest advice on how you conducted yourself throughout the process. When you get negative comments or reviews, you should not be angry but rather try to improve on the areas that you did not fare well. This is important because you will work on your weak areas to maintain the customers you already have while looking for new ones. The mortgage business no longer needs to be challenging with many hassles and bustles as it has been throughout the years. 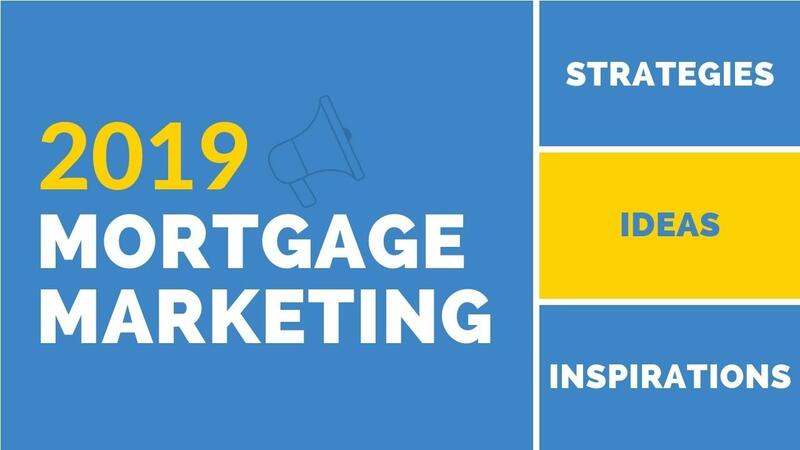 There are now a number of incredible tools that mortgage marketing officers can make use of to get more clients, retain existing ones, and improve their business's bottom line. For your information, CRM acronym stands for “customer relationship management. There are numerous customer relationship management tools out there that can go a long way in your loan officer marketing business. These tools typically provide analytics, tracking as well as performance reporting, which can enable you to measure results and identify areas that need improvement correctly. From Mortgage IQ and Velocity LoanEngage to Unify, loan officers are essentially spoiled for choice when it comes to the best CRM tools they can use to do their job more efficiently. It should be noted, however, that the choice of tool will largely depend on the needs of your team as well as your business. So, be sure to pay attention to those before selecting a tool. With the right mortgage CRM tool, you can be confident that nothing is ever going to fall between the cracks in your sales cycle. Besides that, if managed correctly, the tool will help you learn from mistakes so that you can turn your failures into success in the future. Video remains one of the powerful marketing channels today for all marketers. For mortgage brokers, it is an important method for reaching out to prospects, converting them into clients and retaining them plus the existing ones. In a market where earning the trust of a client is so crucial, being able to show (not just tell) your unique selling points and company’s story can have a significant impact on the amount of revenue that you make. Just like CRM, there are several tools that can help you market and sell mortgage loans more effectively, through video. From Wistia as well as Wideo to VideoScribe, it is pretty an endless list of options. Each of these tools can help you to best tap into the power of visuals in your marketing strategy. In addition, each of them lets you host videos directly on your own website. So you do not need to rely on YouTube, which will force your viewers to deal with annoying ads or click away to another domain. Each tool offers an ad-free video hosting feature with seamless playback. Another powerful method of marketing today is social media. The largest portion of sales most businesses record today is as a result of pitching on Facebook, Instagram, Tweeter and other social platforms. As a loan officer marketing a mortgage product, you can get incredible ROI out of your social media campaign, especially by posting consistently. But it is not surprising that many officers never get the most out of their social media marketing efforts. This can be attributed to the fact that they do not post consistently. This is where social media marketing tools such as Buffer, Sprout Social, Hootsuite come in handy. With each tool, you do not have to bother yourself with posting your products and message regularly. All you have to do is plan your social media marketing strategy early in advance and then your tool will automate the posting process. 2018 statistics show that the average Ad lead conversion rate across various industries ranged between 1 and 10 percent. In addition, mortgage was one of the industries that recorded the lowest conversion rate. Many advertisers got a low ROI on their respective ad campaigns, which was contrary to what they had anticipated. Many suffered a loss, which can be attributed to a poor lead conversion strategy. Unbounce, Launchrock, Instapage are amazing tools that help you convert your leads into clients. Each tool increases the chances of every one of your page visitors taking a mortgage product you offer. Whether you run an off-site advertising campaign that generates quality leads or would like to redirect the leads to your landing page where you can easily track and convert them, each one of these can be an extremely valuable tool for your work. If you are not utilizing email marketing, you are missing out on a huge opportunity to boost your business’s bottom line. Most marketers in the mortgage industry rely on it as one of the top methods of marketing with high ROI. Mailchimp, AWeber, Sparkpost and Get Response are incredible tools that help you get the most out of email marketing. With any tool, you can reach more inboxes and generate more sales from your email marketing campaign. Mailchimp and the other email marketing tools help you build a killer email list instantly. With one such list, you are looking at a goldmine for your lending business. Finally, each tool offers you a plethora of features to keep your email list clean, send emails effectively, and track key metrics. As you can see, there are many tools you can utilize to grow your mortgage lending business. Nonetheless, these tools can be grouped into various categories as follows; CRM, video, social media, lead conversion as well as email marketing. You can choose any tool you like from each category because results will all be the same after all. 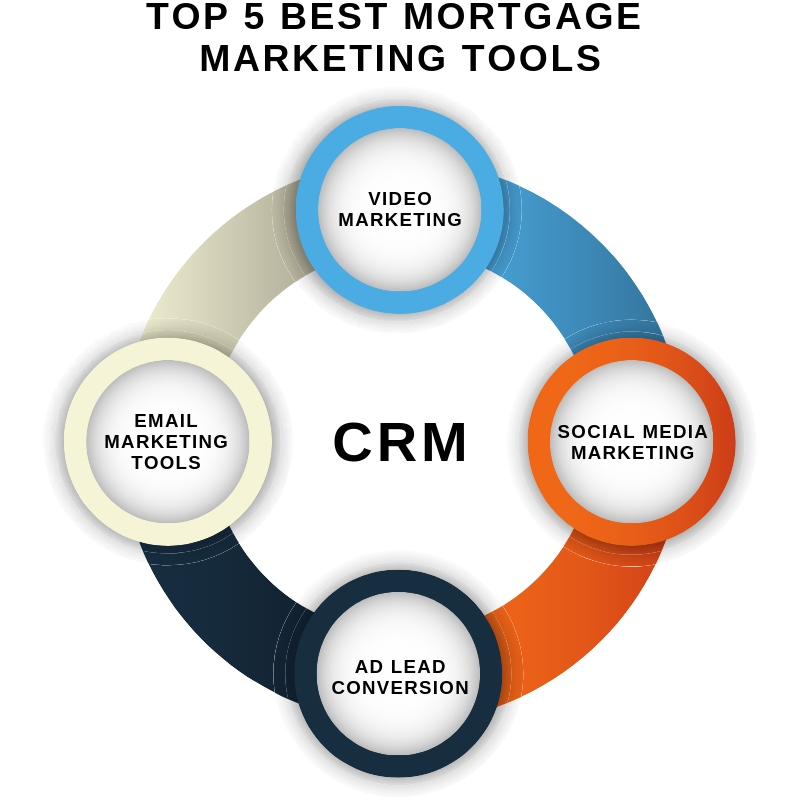 So, which set of mortgage marketing tools do you intend to obtain? Is it Unify, Wistia, Buffer, Unbounce, and Mailchimp? Or is it a different set of tools altogether? We would like to know your thoughts. Feel free to comment below. Loan officers help in determining whether individuals and corporations are qualified for a loan from various financial institutions or not. They do this by examining the financial records of those applicants and furthermore apply some underwriting principles as well as formulas to determine the loan applicants’ ability to repay a loan. As a loan officer, you should be able to communicate with your clients to determine their needs properly and also be in a position to answer any question that they might have, below are some of the ways you can follow to become a better loan officer. Planning is an important aspect especially if you want to be a successful loan officer. Planning will keep you focused on your anticipated results, with planning; you will also be able to forecast any future problems and hence make the necessary changes to avoid those problems. It will also help in providing you with guidelines on decision making, you will be in a position to keep your eyes on the big picture, and your current decisions will go in line with your future plans. You should check the credit report of your customers to help you in deciding whether you will provide them with the loans or not. As a loan officer, you can as well talk to your customers and enlighten them about various aspects of a credit report, let them know the factors that can influence their credit score and the three credit bureaus. You should also confirm that the information provided in their report is very accurate and positive as well. You should ensure that you do not surprise your customers with your prices, keeping in mind that a variety of costs are associated with any loan, it is very important that you take your time in covering each line item with the customers. Eventually, this will come to benefit you. This is because your customers will be happy with it and hence client retention. You should ensure that you are updated and have the necessary knowledge about the loan programs that you can offer; it is also advisable that you have several loan program options to cater for larger customer scope. As a loan officer, honesty should be your key goal, make sure that you are always honest with your clients, especially when it comes to the costs that might be incurred during the whole program, if you cannot be in a position to offer a no coat loan then it will be advisable that you let them know about it. These days, technology has put several things on autopilot, this revolution has also brought changes in loan origination, improving the quality of loan as well as reducing costs and fighting frauds. With technology, a loan officer can be able to speed up the document verification process, he or she will also be able to detect any fraud with the help of software programs which better than we humans, it will also help the lenders quickly, it is also an affordable scale that one can use to meet the peak season. Ensure that you get back to your customers, this is one of the best characteristics a loan officer should possess to become successful. You should be responsive; this will tell your customers to know that they are a priority and that they are taken seriously. Advise your customers on the changes that are in the financial market that can have an impact on their loans. Having a good relationship with your customers is very beneficial; this is because it will lead to word of mouth referral which will, in turn, lead to more and more customers coming to you. You should not rush your customers as they try to contemplate on their choices, deciding on the type of loan one would like to go for can sometimes be difficult, that is why a loan officer should give his or her customer all the time needed to decide on the one that makes the most sense. A good loan officer will go out of their way to ensure that their customers have a good understanding of what the loan process entails, through this, your customers will be able to know the type of loans that they are eligible for and which ones they do not qualify for, they will also be able to know the basic requirements of those loans as well as specific documents they will need to provide for them to qualify. If you would like to have more detailed step by step tutorials on how to promote your mortgage business as a loan officer, please feel free to download any of our free ebooks below.